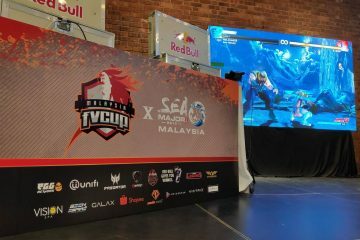 Coming back for the 2nd successive year, this joint fighting Esports event by Flash Vision and SEA Major came to a conclusion last Sunday after Day 1 saw a marathon 10 hours of Street Fighter V (SFV) pool action, thinning the herd from 102 to 16 top players and fierce competition in 5 other console fighting games. Earlier in Day 1 of Super Smash Bros. 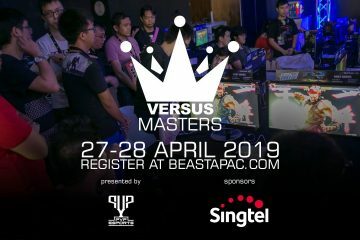 Ultimate, Futaboo (Malaysia) was crowned champion, AdverMrPillar (Malaysia) finished second, and Saisak (Hong Kong) spoils a home ground sweep with third place. The Ultra Street Fighter 4 (SF4) tournament saw intense dueling for top spot. One of Singapore’s top SF4 female players then, Xian.Jen (Singapore), showed she still got the moves and finished a respectable 2nd behind champion Saisak (Hong Kong) with Talon Denesis (Hong Kong) finishing in 3rd. 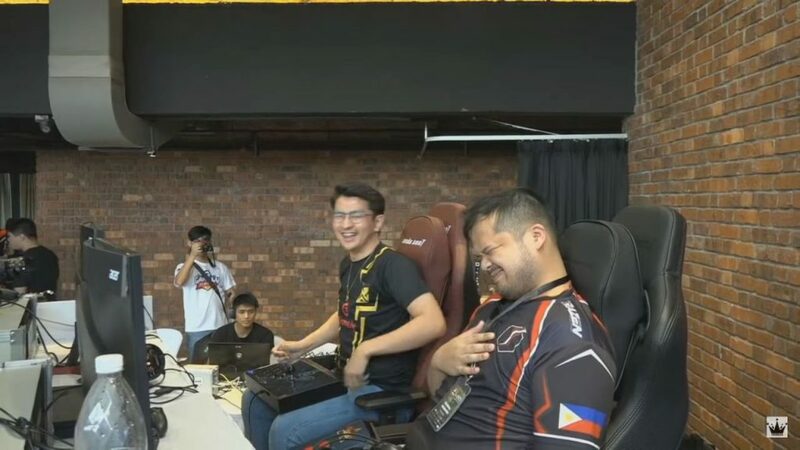 The Philippines completed a one-two finish in Dragon Ball FighterZ with Xanxus’s team of Vegito (SSGSS), Vegeta (SSGSS), and Vegeta (Super Saiyan) beating out ARB Alden’s trio of Kid Buu, Gohan (Adult) and Yamcha. 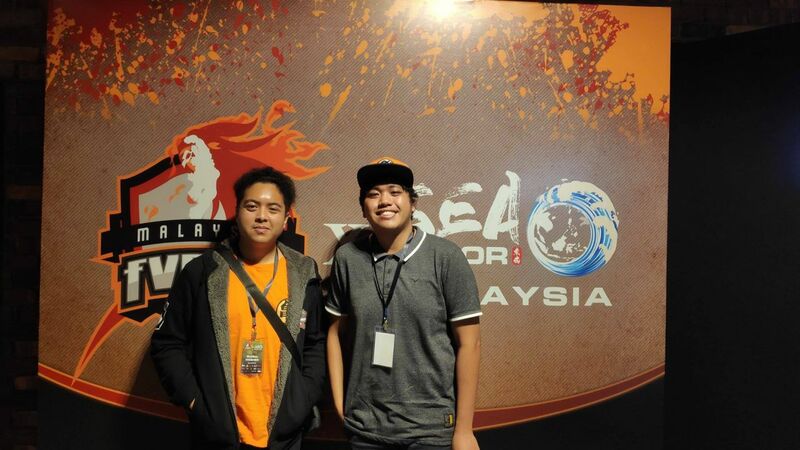 Congratuations to the champ Xanxus (R) and 2nd place Arbalest Esports Alden (L)! 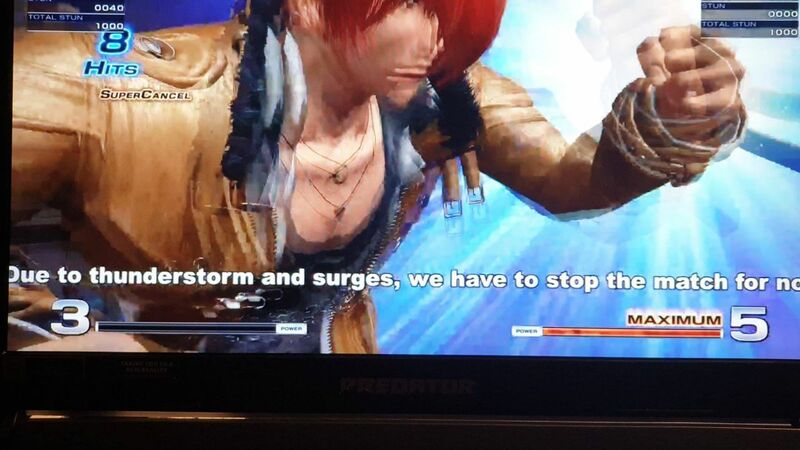 In SoulCalibur VI it was the battle of the Causeway – Malaysia against Singapore! In a dominant performance by Muhamad Meguseyf’s (Malaysia) Grøh, Will.Is.Sia (Singapore) simply had no answers to the onslaught of attacks. 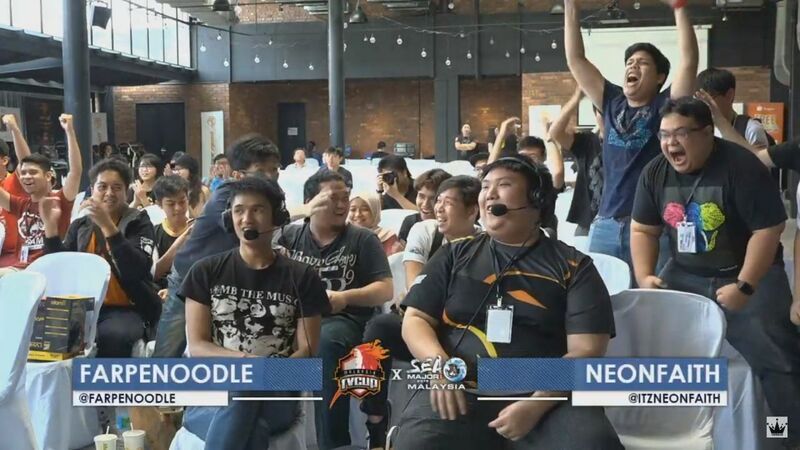 The home crowd erupts as Muhamad Meguseyf (Malaysia) triumphs over Will.Is.Sia (Singapore) in the Grand Finals of SoulCalibur VI. And then the heavens opened up. 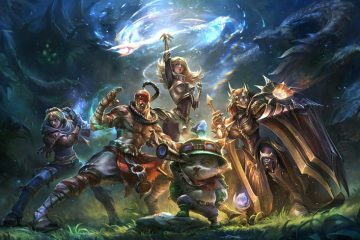 If there’s one boss you can’t beat it’s Mother Nature 😅 Fortunately, the rain and lightning did not last long and the tournaments continued. 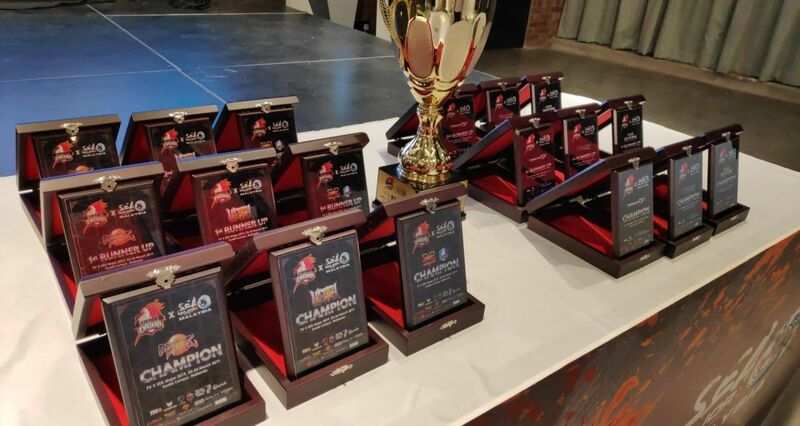 Tekken 7 saw another all Philippines Grand Finals with Bren Maru VS PBE BuLLy! Bren Maru (L) prevails against PBE BuLLy (R) to become Tekken 7 champion! Finally, the moment everyone was waiting for – the SFV Grand Finals. Three-time EVO Champion Rohto Z! Tokido (Japan) crushed every challenger with Akuma, beating eventual 3rd place Talon Hotdog29 (Hong Kong) twice, but just could not close out against Fudoh Fujimara’s (Japan) Ibuki. 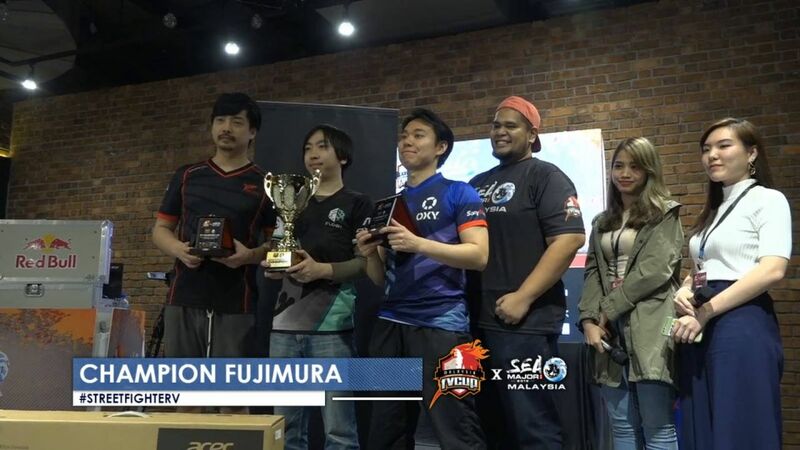 And so the SFV champion for FV x SEA Major 2019 Malaysia is Fudoh Fujimara’s (Japan)!!! Congratulations to the Top 3 SFV players! 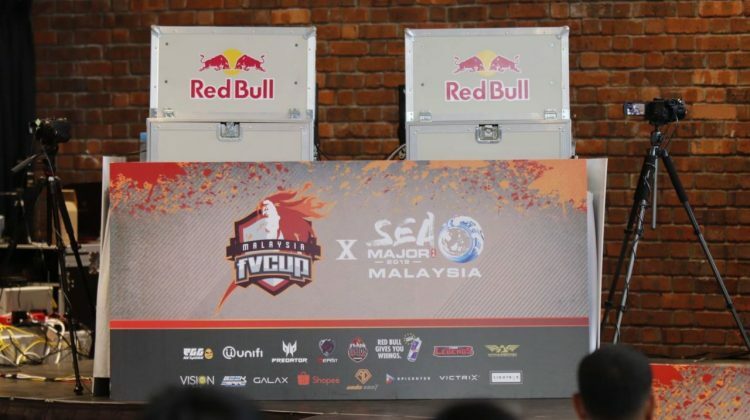 Re-live the thrills and spill with full VODs of FV X SEA Major 2019 Malaysia at Versus Asia’s Youtube channel and Twitch channel.